About the topic "Rotation transformation in geometry"
"Rotation transformation" is one of the four types of transformations in geometry. To make the students to understand the stuff "Rotation-transformation", we have explained the different rules which we apply to make rotation-transformation. Once students understand the rules which they have to apply for rotation transformation, they can easily make rotation -transformation of a figure. 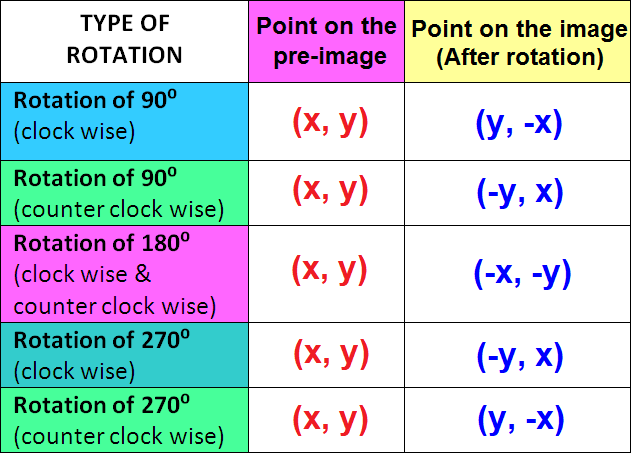 For example, if we are going to make rotation transformation of the point (5, 3) about 90° (clock wise rotation), after transformation, the point would be (3, -5). 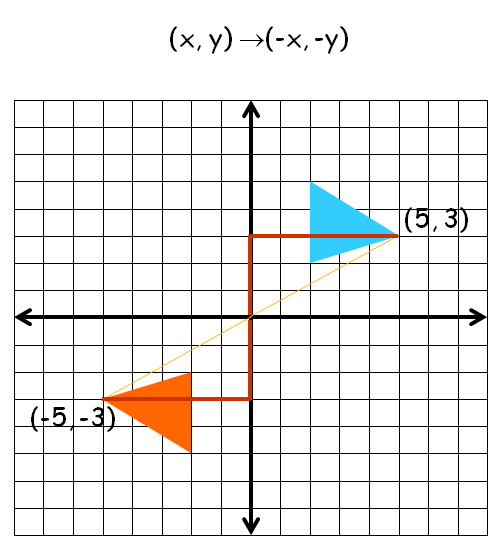 Here the rule we have applied is (x, y) ------> (y, -x). So we get ( 5, 3 ) -------> ( 3, -5 ). Let us consider the following example to have better understanding of reflection. Let A ( -2, 1), B (2, 4) and C (4, 2) be the three vertices of a triangle. If this triangle is rotated about 90° clockwise, what will be the new vertices A' , B' and C' ? First we have to know the correct rule that we have to apply in this problem. How to sketch the rotated figure? 4. When we rotate the given figure about 90° clock wise, we have to apply the formula ( x , y ) --------> ( y , -x ). 5. 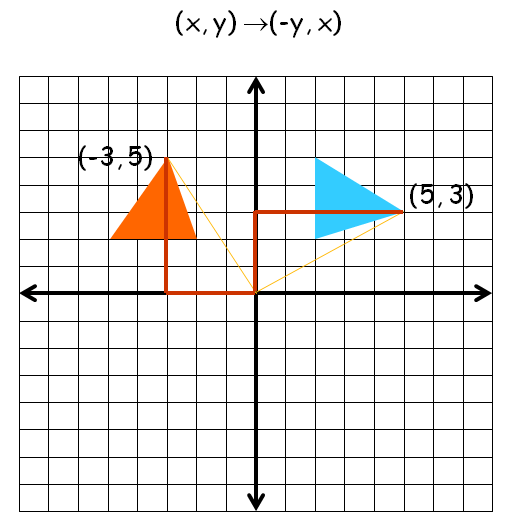 When we apply the formula, we will get the following vertices of the image (rotated figure). 7. 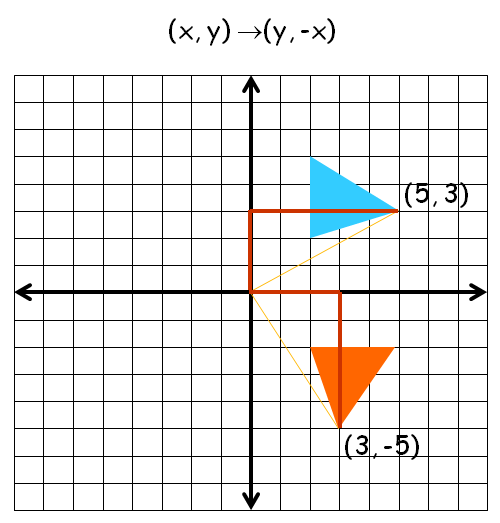 When plot these points on the graph paper, we will get the figure of the image (rotated figure). After having gone through the stuff given above, we hope that the students would have understood "Rotation transformation".